The May Day weekend. A time for one and all to enjoy their individual pursuits. For some, a trip to the seaside, for others a visit to a DIY store and, for jazz fans, this being International Jazz Day (What, you didn't see it mentioned in the media? Come to think of it, neither did I! 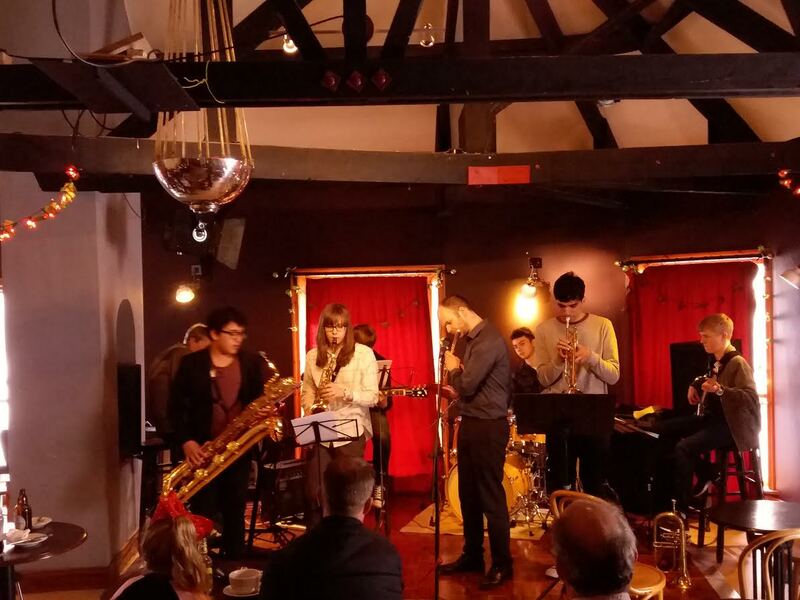 )The Jazz Coop are presenting a day-long, well into the night, programme of sets by local bands of all styles at The Globe. I was intent of grabbing some of the action. However, the best laid schemes of Mice, Men and Metros do, all so frequently, gang awry - particularly in the latter case. 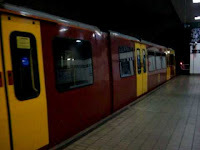 Even my trusted chariot the number 27 didn't show and, when it did, the passengers were contained sardine-like. So, sadly, I've had to forego the IJD/Globe 3rd Anniversary. Hopefully, some of our other team members will be there to report on an important milestone for this north-east jazz haven. 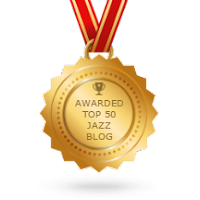 The medallion proudly displayed here and at the top of the page indicates that BSH is now ranked number 22 in the World Jazz Blog Rankings which, in perspective, puts us at number 3 in the UK blogs listed behind Londonjazz and The Guardian Jazz Blog! And a wee mention in the Scottish Herald! Our boy, Colin Aitchison, is one of several musicians interviewed in a Hong Kong TV documentary. Thirty minutes in total, Colin is at the start of Part One. 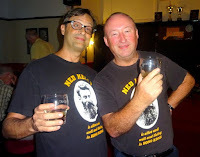 Colin, pictured with Franco Valussi at Blaydon Jazz Club last year, will be returning to the club this summer - watch this space. Mark Lewandowski (bass); Liam Noble (piano); Paul Clarvis (drums). 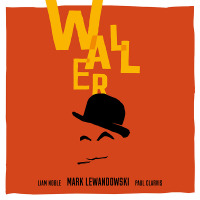 Liam Noble playing Fats Waller? Nah! Chalk and Cheese. Then I played the album and, afterwards, ate a chalk and cheese sandwich followed by a portion of humble pie. The CD is much more palatable. 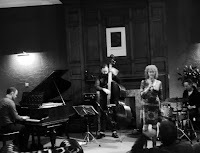 Three musicians, closer to the cutting edge of jazz, have successfully brought Fats Waller’s 1930’s classics into the twenty first century without, I would suggest, alienating purists or pathfinders. In his day, of course, Waller was indeed a pathfinder himself. John Taylor kindly sent me a link to a review in the Hexham Courant of a concert by the Tyne Valley Youth Big Band at the Queen's Hall in Hexham last Friday. April 30 is International Jazz Day and it is also the day when, in 2014, Jazz. 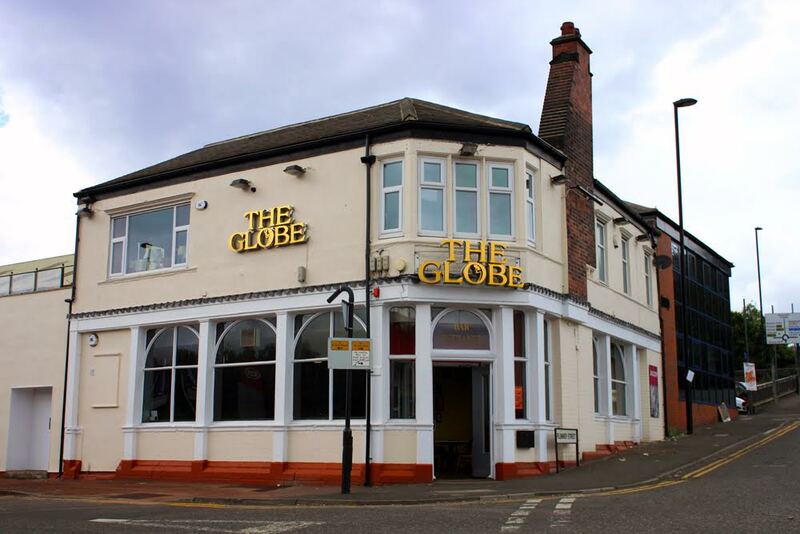 Coop bought The Globe and started creating the UK's first community-owned live music venue/bar. This year we will be celebrating with live music all day and night. The programme includes jazz of all styles from trad to free improvisation, from duo to big band. 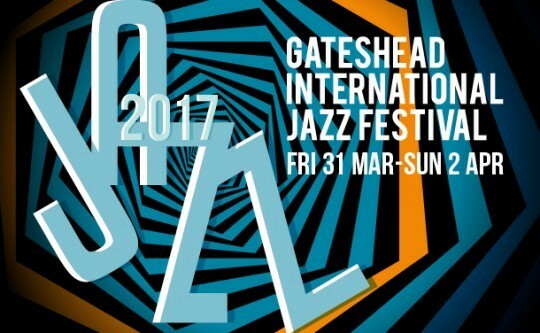 There are 12 acts together featuring about 50 of the North East's jazz musicians..
Martin Kershaw (alto sax); Graeme Stephen (guitar); Mario Caribe (bass); Tom Bancroft (drums). (Review by Steve H/Photo courtesy of Ken Drew). This was an amazingly good Jazz North East gig which just got better and better as the night progressed. 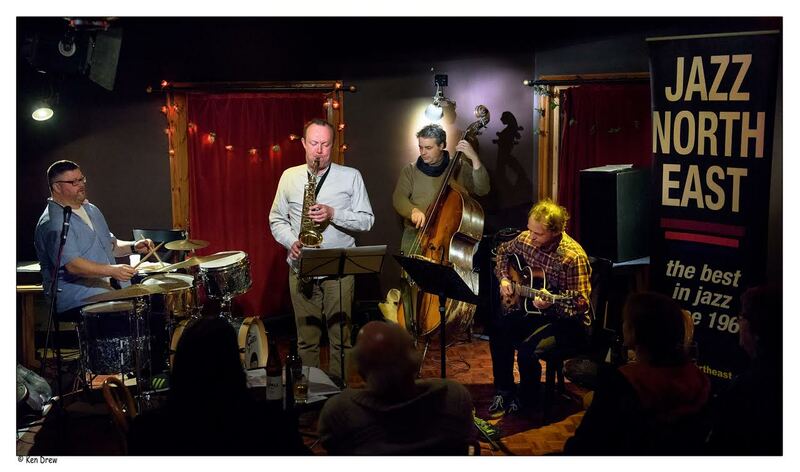 The quartet play together fortnightly in an upstairs bar in Edinburgh (The Outhouse) where the evenings take on themes not only featuring jazz greats such as Charles Mingus, Ornette Coleman and Keith Jarrett but also themes such as film nights or TV programmes. For example, there was a glorious rendition of the Match of the Day theme then a merger of 2 children’s favourites The Magic Roundbarb and Custardabout (aka The Magic Roundabout and Rhubarb and Custard). A day after the Ella centenary we return to the current First Lady of Song - Diana Krall. Eleven GASbook classics - love songs, so sensual that it makes me wish I was Elvis Costello. And if the voice wasn't enough there's the piano playing. 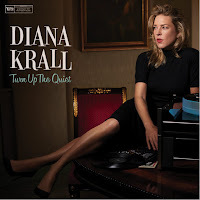 At times, reminiscent of the King Cole Trio which isn't surprising given that most, if not all, of the songs have been associated with the late Nat and Krall has recorded tributes to him in the past. There's also a slight suggestion of George Shearing in Isn't it Romantic? But, most of all, it's Diana's personal identity that stands out. March 1, 1955, Newcastle’s City Hall was barely half full. I wasn’t sure what to expect. 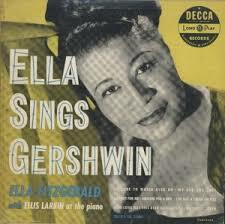 Ella Fitzgerald I only knew from a pop hit from a few years back. My Happiness. Oscar Peterson, I’d read about in the Melody Maker. Bought the cheapest seat which, turned out to be the best seat in the house! I was sitting on stage within almost touching distance of the artists. 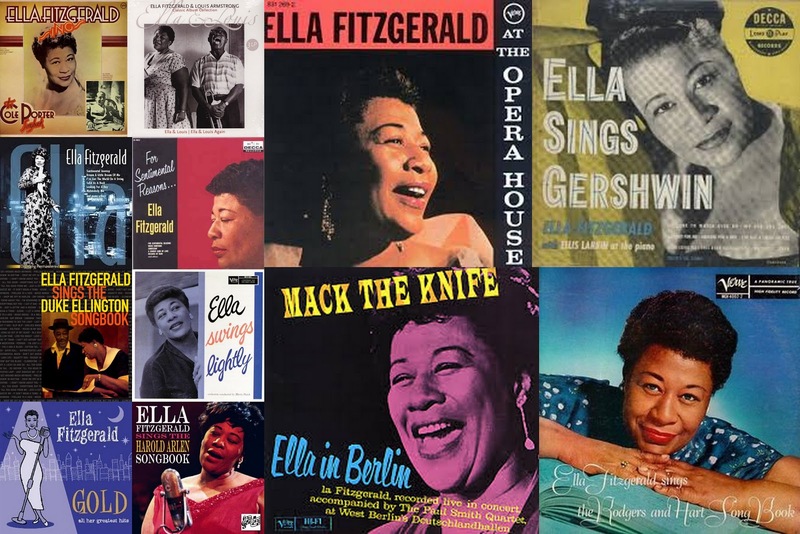 Today – Tuesday 25 April – marks the centenary of the birth of Ella Fitzgerald. From her success in the Apollo Theater, Harlem’s talent competition to Chick Webb to world-wide fame as one of the greatest interpreters of the Great American Songbook, Ella Fitzgerald is the subject of three programmes on BBC Radio. Ella Fitzgerald: a Glorious Noise is a half hour documentary to be broadcast on Radio 4 at 11:30am with contributions from Jesse Norman, Dianne Reeves and Norma Winstone. Radio 2 weighs in with two programmes; Remembering Ella (8:00pm) presented by Leo Green. Talking heads include Cleo Laine, Patti Austin and Mica Paris. At 10:00pm Ella Fitzgerald – the First Lady of Song explores Ella’s life in jazz in the first of two hour-long programmes; Ella Fitzgerald – the First Lady of Song. Hats off to the Beeb. 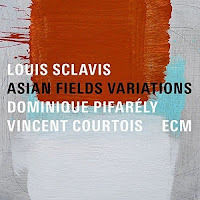 CD Review: Louis Sclavis, Dominique Pifarely and Vincent Courtois - Asian Fields Variations . Louis Sclavis (clarinets), Dominique Pifarely (violin), Vincent Courtois (cello). 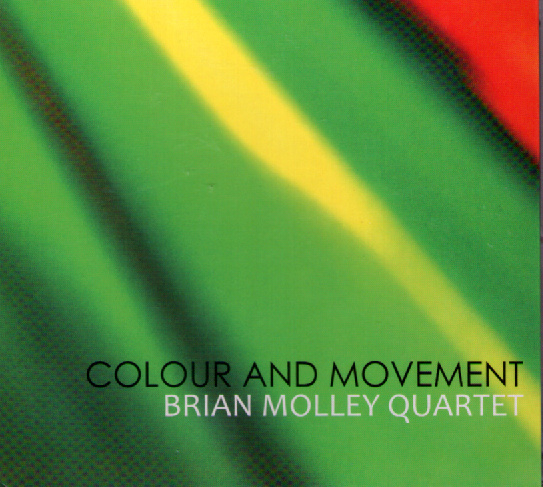 What ECM do consistently well is mix Jazz with classical music and this is no exception, but rather than being Jazz with a hint of classical, it's more classical with a bit of Jazz, particularly on Asian Fields, with impressive solos on clarinet and violin, though this is by no means stronger than the rest of the album. Arriving at Jazz through Black American Music, my interest in classical music is minimal, restricted to a few composers, though French composers are amongst my favourites, and generally an orchestra rather than a smaller ensemble. 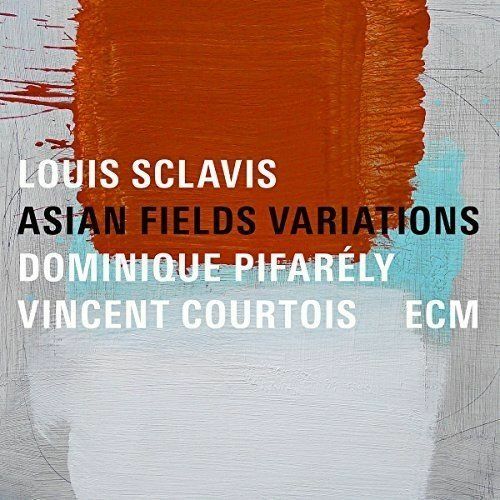 Clarinet, violin and cello suggests chamber music but Sclavis claims there's more to it than that and I tend to agree. This year’s Darlington Jazz Festival is almost here. 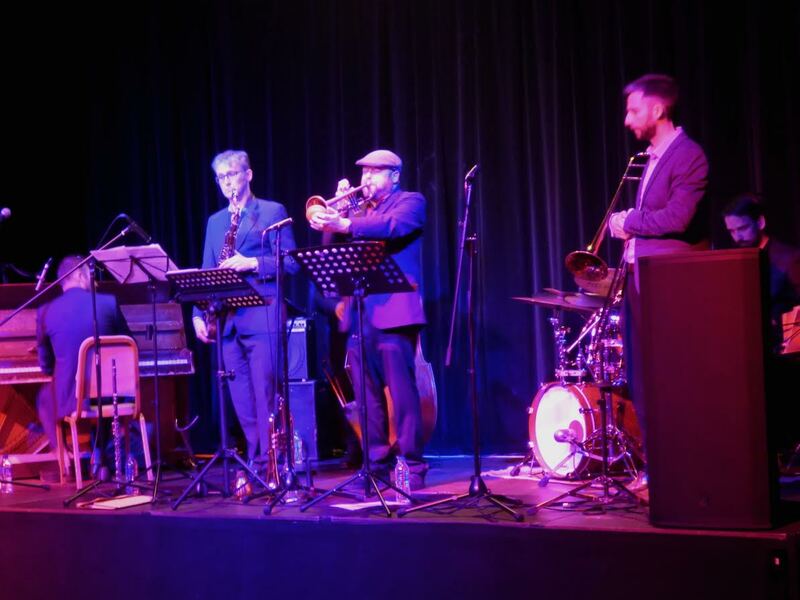 From Thursday evening (April 27th) Darlington town centre comes alive with four days of top quality jazz at several welcoming venues. Trumpeter Matt Roberts gets things under way with his now traditional Jazz Improvisation Workshop. This popular event runs from 6:00pm ’til 9:00pm on Thursday at Crown Street Library. Register at 5:30, for a six o’clock start. Matt is an experienced, inspirational educator, and it is all but essential that you register in advance. Email: darlingtonjazzfestival@live.com. Friday evening comes with a guarantee…a hard bop session the like of which was last heard sixty years ago in NYC. 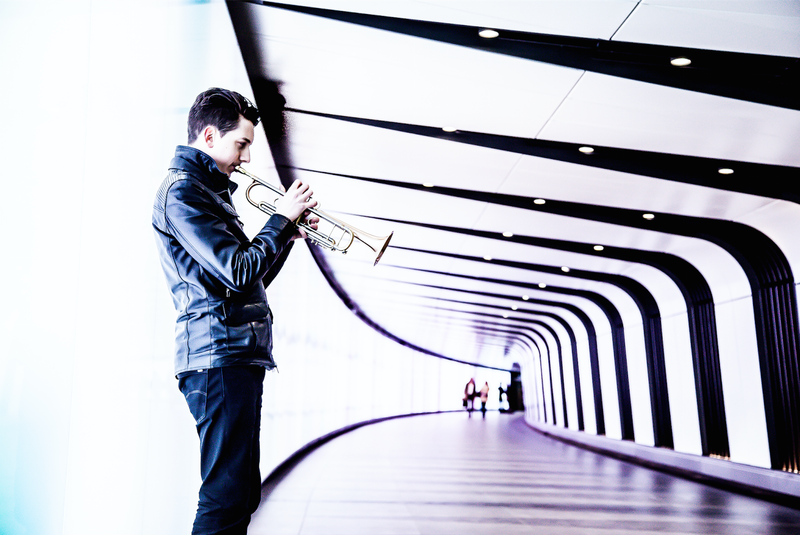 Jazz After Dark in the room above the Voodoo Café features the Matt Roberts Sextet playing the music of some of Roberts’ trumpet heroes. Expect to hear Miles, Fats Navarro, Clifford Brown, Lee Morgan and Freddie Hubbard. Last year’s gig lives on in the memory. As Matt is a local lad made good (living and working in London) this is the gig that other musicians turn out to hear. Twelve months ago the room was heaving, some stood on the stairs, this was 52nd Street! An electric atmosphere, Matt’s A-list sextet blew the roof off the place. If you’re within one hundred miles of Darlington, all roads lead to 84 Skinnergate. Doors at 8:30pm, fireworks from 9:00pm! 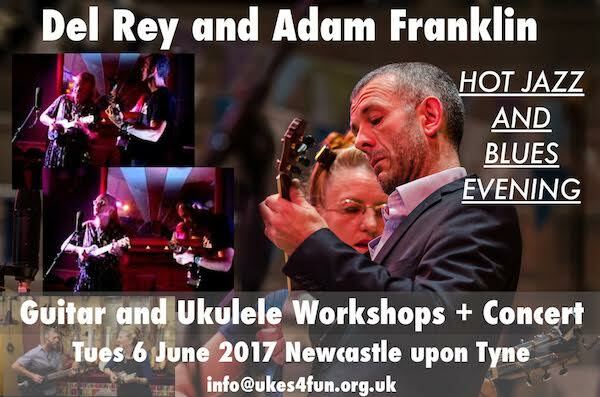 § In this workshop you will learn some easily remembered picking patterns and how to use them to provide a solid rhythmic foundation to ANY song in ANY style – not just “hot jazz”! § Whether you are a beginner or a more advanced player, you will find this technique a very useful tool to add that “extra something” to sing-alongs and jams! § Want to play like a pianist? Walking and boogie-woogie bass lines for fingerstyle guitar! Learn the positions where you can find both chords and moving bass. § Intermediate-Advanced Level. Standard tuning. Recording permitted. Under the Moon of Love? Ruth Lambert Quartet @ Ushaw College – April 21. Ruth Lambert, vocals; Paul Edis, piano; Andy Champion, bass; Rob Walker, drums. The gig began with No Moon at All (which was appropriate as it was stottin’ down outside and even a “supermoon” would have been invisible), revved up in the second set with That Old Devil Moon and ended with How High the Moon. Love was most definitely the theme of the evening as evidenced by Beautiful Love, a song which Ruth Lambert explained had featured in the 1932 film, The Mummy, when Karloff’s mummy pursued the beautiful Helen Grosvenor. The things you learn! We had a slow, moody take on “living to love and muddling through” in I’m Glad There Is You followed by a rapid gallop through Mercer and Kern’s I’m Old Fashioned (“stay old fashioned with me”). Ruth said she “never tired of singing” the next number, Arlen’s I’ve Got the World on a String, (“what a life – I’m in love!”) while Ira Gershwin summed up the euphoria with ‘S Wonderful! Brother, George, wrote the notes, of course, and some of his other notes popped up, intriguingly, in the piano solo during West Coat Blues in which Wes Montgomery with his “suitcase full of sorrows” gave an alternative take on love. The first set closed with Jobim’s Agua de Beber, a beautiful bossa nova with very metaphorical lyrics (by de Moraes?) – “Your love is rain, my heart the flower…”. It could have reminded us of the world outside –“since the rain has to fall, let it fall on me” – but we were lost in the music by then…. This album, somehow got sidelined owing to our designated reviewer being taken ill so, because of the short time between now and the release date which coincides with the First Lady's centenary , I've posted the press release in full stressing that I wholeheartedly concur with all that is written - Lance. Williamson and guitarist Jon Wheatley conjure the swinging chemistry of the First Lady of Song and Joe Pass. Album due out on April 25. “Ms. Williamson has a beautiful low alto voice that could be likened to a smooth single-malt scotch..." — C. Michael Bailey, All About Jazz. Brian Molley (tenor/soprano); Tom Gibbs (piano); James Lindsay (bass); Stuart Brown (bass). I'd recently reviewed the band's current CD, Colour and Movement, and been impressed - it's a stunner. However, hearing the band live in Newcastle really brought the CD to life and I appreciated it all the more. It's a chicken and egg situation - hear the band live to appreciate the CD or hear the CD first to appreciate the band. It's a win win situation and the Jazz Coop audience certainly felt they'd backed a winner last night at The Globe. 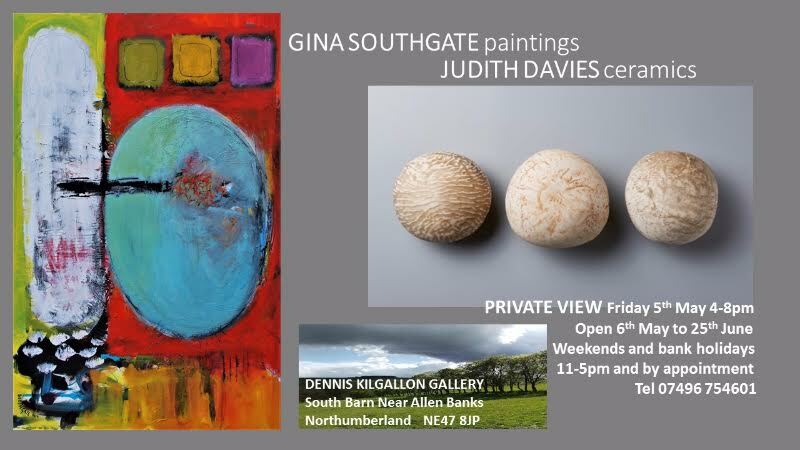 I'm attaching an invitation to any readers interested in attending the Private View of Gina Southgate's Exhibition at the Dennis Kilgallon Gallery at South Barn, near Allen Banks, Northumberland NE47 8JP on Friday 5th May from 4pm to 8pm. Gina is an artist best known for her paintings made in real time at jazz gigs. She has worked in our region with Jazz North East and at the Gateshead International Jazz Festival and her work is on permanent display at Sage Gateshead. She also paints landscapes. 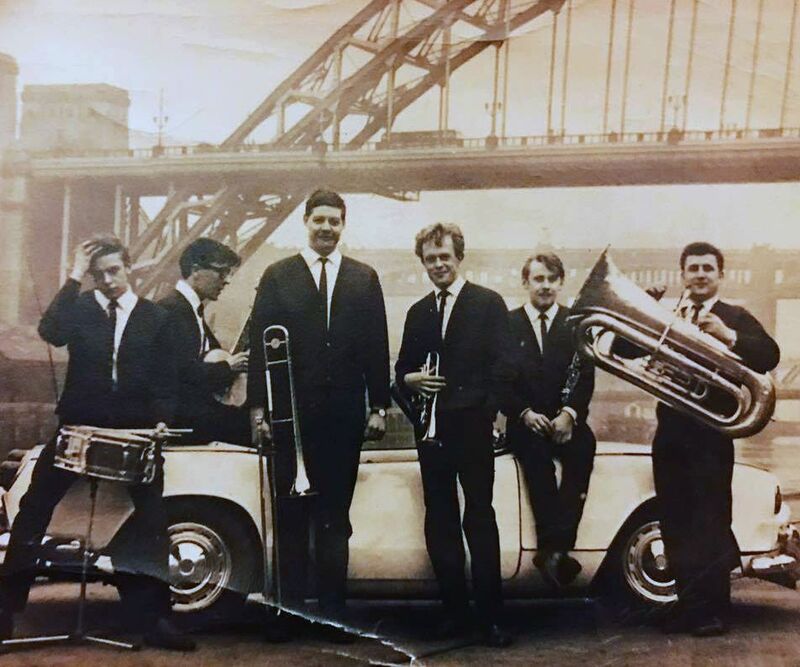 Another photo of the Phoenix Jazzmen, found by Patrick Brennan on the Evening Chronicle Facebook page. It was sent in by Dan Pye who, I guess, was Eddie Piper 's grandson. Piper is holding a tuba on this shot. Gordon Solomon is now on trombone and Brian Chester appears to be playing banjo. Billy Golightly on long model cornet and Eric Clegg on clarinet. Not certain of the drummer. I gather this photo was taken shortly before Gordon Sumner joined the band which would probably date it about 1969. Nick Gould (tenor); Steve Grossart (keys); Iain Harkness (bass); Kevin Dorrian (drums). 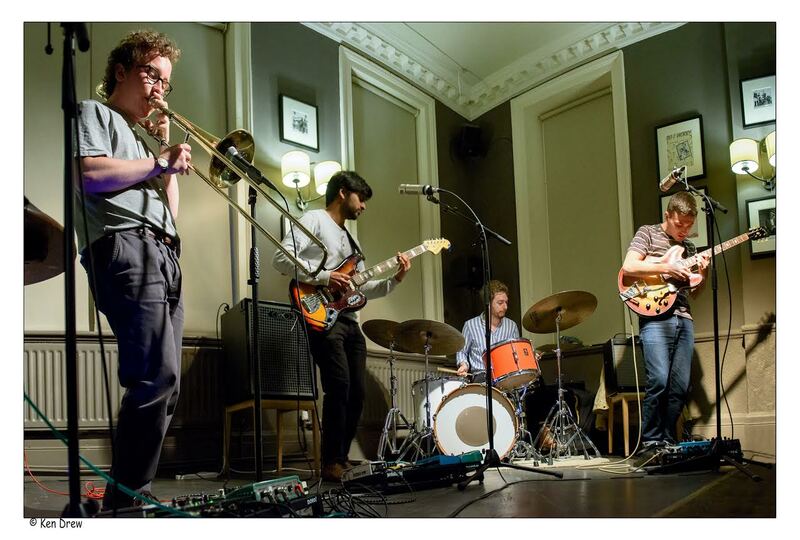 Recorded live at "The Lamp" in Aberdeen last November, Jazzmain's second album is every bit as good as the first and maybe even better. Like most live recordings, the balance isn't perfect although it improves as the disc progresses or maybe it's my ears adjusting to the acoustics. Whatever, the music more than makes up for it. Play this in a blindfold test and I think many a listener would assume it had been recorded live at, say, the Five Spot or the Village Vanguard in NYC by a band from the 1950s' Blue Note label. Easter Monday. Cullercoats. A pint of Consett Brewery’s Last Tap…not quite. ‘It’s off, finished’ said the barman pulling a lifeless hand-pull on the bar at Cullercoats Crescent Club. Make it a pint of the Darwin Original. If it’s Monday lunchtime it must be Cullercoats Crescent Club. For as long as Jazz in the Afternoon regulars can remember it’s been this way. In the dark recesses of BSH’s (fading!) memory bank, Jazz in the Afternoon first made a jazz sound at the Wooden Doll pub perched high above North Shields Fish Quay. A change of venue perhaps, the session retains that much sought after commodity…a full house. (Review by Russell/Photos courtesy of Roly). Band leader Eddie Bellis announced a celebration – Lickety Split’s tenth birthday! A few changes of personnel down the years is almost inevitable when trying to keep an eight piece band on the road. The current line-up looks as if it could remain stable for some time. That’s good news with the octet sounding better than ever. This Black Bull gig, the band’s debut at Blaydon Jazz Club, delivered immaculate ensemble playing with particularly impressive (well rehearsed!) endings. Nothing ragged, just sharp, tight topping and tailing of tunes. Lickety Split is a band that doesn’t shout from the roof tops. No hype, little publicity, simply a ‘turn-up-and-play’ approach, that’s Lickety Split. 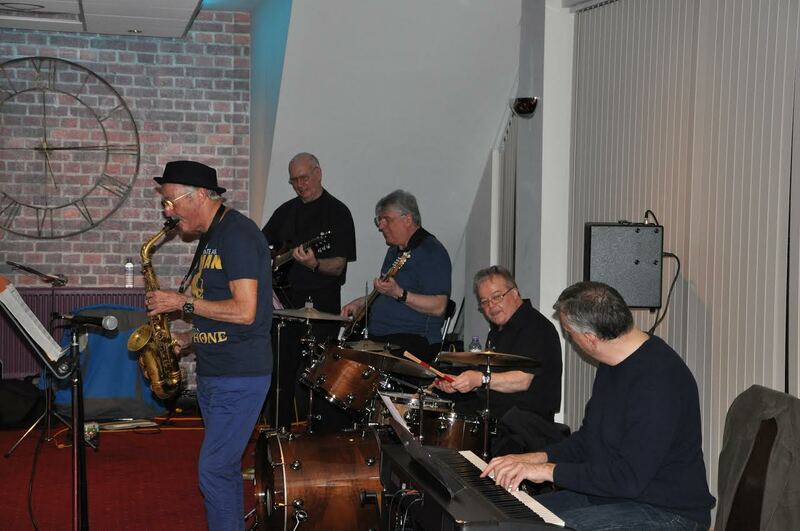 Blaydon Jazz Club’s Easter Day audience heard two sets of West Coast cool to bop charts – exactly what Blaydon’s Dr Jazz ordered. 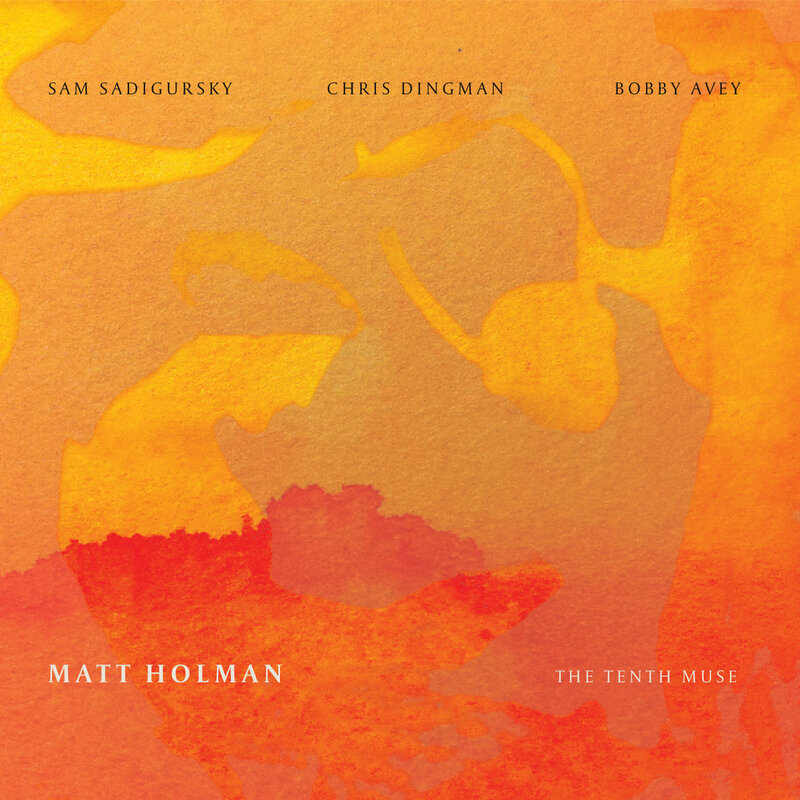 Matt Holman (trumpet); Chris Dingham (Vibes); Bobby Avey (piano); Sam Sadigursky (reeds/flutes). Moon has set and Pleades: middle night, the hour goes by, alone I lie. 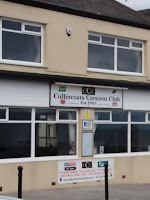 Earlier this month, Patrick Brennan sent me an interesting post about Carole Clegg and Speakeasy which can be read here. The article, from the Tanfield School Newsletter of 2007 also refers to the early days of the Phoenix Jazzmen - long before Sting's association with the band. Brian Chester, a founder member of the Phoenix Jazzmen, dug out these photos from the early 1960s which, I'm sure, will stir a few memories for those of us who are still around. The first photo dates from 1960 and was taken at the Annfield Plain Central Methodist Youth Club. 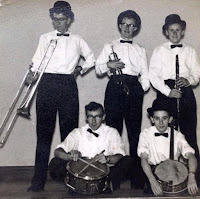 Bill Golightly (trumpet); Brian Chester (trombone); Eric Clegg (clarinet); John Iceton (banjo); Ted Spears (drums). Indigo Jazz voices are Jen Errington, Jenny Lingham, Carrie McCullock, Barry Keatings, David Edgar and Ann Alexander. We are all solo singers, doing a selection of Swing, Bossa and Blues, with maybe the occasional early jazz number from the 1920’s. Keatings , is accompanied by Ron Pattinson on piano. Good listening is guaranteed, so don’t miss the gig. It all begins at 7.30pm, admission is £4, and there are nibbles to eat. This was the mother of all jam sessions, to quote a phrase, and I use the expression advisedly. This was like a jazz kindergarten the room bestrewn with proud parents appreciating the talents of the future Down Beat Poll Winners on stage. The parental pride was justified. Never in the field of human conflict, which is what jam sessions are, has so much been owed to so few (in years that is). Take the house trio, Minnie and Dan Stanley out of the equation and the average age must have been in the mid teens - incredible! So much going on, a blow by blow account would require a War & Peace (or a Steve T) length review to do it justice so I'll merely make a few observations. Matt MacKellar, we know has been accepted by Berklee in Boston, Mass. and deservedly so. On tonight's showing there could well be more. Legendary guitarist Allan Holdsworth died on Sunday April 16 aged 70. Born in Bradford he was a formidable force in progressive rock and Jazz-Rock through the seventies, featuring in a range of bands, sometimes simultaneously, including Nucleus, Tempest, Soft Machine, Tony Williams Lifetime and Gong, before joining Bill Bruford, John Whetton (who died a few weeks ago) and Eddie Jobson in the prog rock super-group UK, and was subsequently invited by Bill Bruford, who considered him one of the world’s great innovators, to join his new band Bruford. Just heard of the death of Allan Holdsworth earlier today. Obit to follow. Faye MacCalman (tenor sax, clarinet), John Pope (bass). (Review/photo courtesy of Steve T). Of all the Jazz Cafés in all the world, I wonder how many featured a double bass, sometimes bowed, and a tenor sax, sometimes a clarinet, playing Blakey, Shorter, Ornette Coleman Hawkins - see what I did there? MacCalman, Monk, Roland Kirk, Sonny Rollins and Sun Ra - see what I did there? - on Friday. And by a lady in her early/mid-twenties and a 'slightly' older male. This is why Jazz is so unique. We expected more pedals than the Tour de France, more loops than a primary school playground and more freefall than a Bridge too far. What we got was certainly edgy, but in a very different way. Only Jazz can defy expectations in this way. I'd wondered how it would work out, without percussion, a keyboard or even a guitar, but half way through the opener, Moanin, I knew it was going to be just fine. 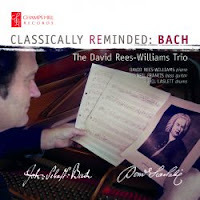 CD Review: David Rees-Williams Trio - Classically Reminded: Bach. David Rees-Williams (piano); Neil Francis (bass guitar}; Phil Laslett (drums). Johann Sebastian Bach has long been an inspiration for jazz musicians sometimes as a pastiche e.g. Goodman's Bach Goes to Town or Fats Waller's Bach Up To Me. Other, more serious tributes have been paid by Peterson, Shearing and Jacques Loussier who made a career out of Bach's music and helped sell a lot of Hamlet cigars along the way. Formed in 1988, the David Williams-Rees Trio who are based in Kent seamlessly make the transition from 18th century keyboard music to present day jazz. Indeed the joins are anything but obvious, instead the music flows as one. Good Friday. The Gala Theatre. ‘House full’ signs. What’s new? Monthly lunchtime jazz sessions at the Gala Theatre sell-out in advance, it’s been that way for several months. Some people know a good thing when they hear it and book ahead. May, June, July and August are booking now, so, don’t hesitate. Today’s concert sold out weeks ago. Nicola Farnon arrived from her Sheffield base, said hello to Paul Edis and Russ Morgan – they were meeting for the first time – and proceeded to bring the house down. A bright and breezy Saturday morning. Their regular Saturday morning workshop done, the Early Birds were ready to admit the paying public. Teenage musicians under the tutelage of Paul Edis, the Early Birds develop apace and an audience keeps on turning up to hear what they’ve been up to. The half hour set flies by, just enough time to drink that coffee (or beer) and scoff a Jazz Café scone (home made by Natalie). Baritone saxophonist Ryan De Silva led the way on But Not For Me followed by Matthew Downey, guitar. Ben Lawrence playing keyboards suggested a tune of his own (the title temporarily alludes your reviewer), a tune deservedly in the pad alongside time-honoured material. MD Paul Edis, on flute, James Metcalf, flugel (on loan from Mr G Hardy), and the composer himself, the soloists. Gosforth Jazz Club. Gosforth where? you say. Yes, a new venture in the leafy suburb of Gosforth. As you come out of Regent Centre Metro station it's a right turn, enter Gosforth Civic Theatre, you have reached your destination. Don’t you mean Gosforth Civic Hall? Well, yes, but Austerity Times dictate that a once proud publicly owned amenity is now a ‘social enterprise’, hence Gosforth Civic Theatre. Tonight’s attraction: the Paul Edis Sextet. 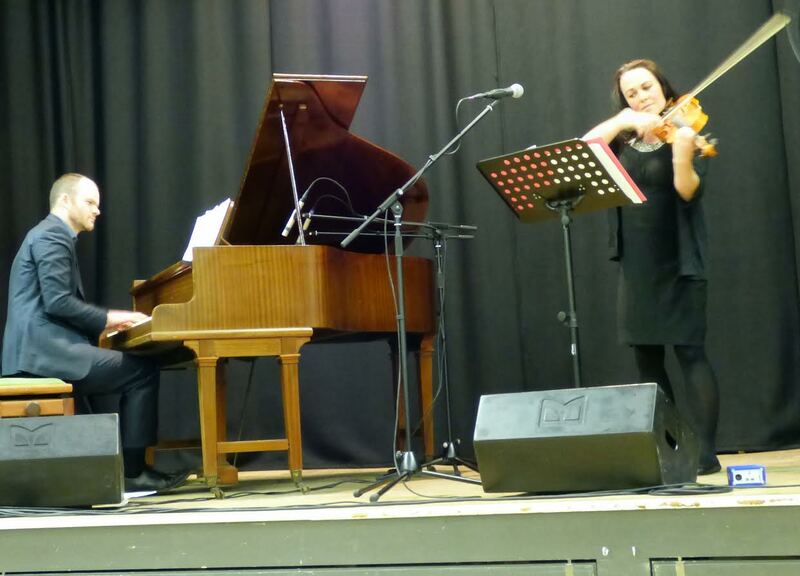 Emma Fisk (violin) and Paul Edis (piano). A sign above the stage appeared to say “A DISCO”. Really? I adjusted my bifocals and found it was a date stone reading “AD1860” – when The Witham opened as a music hall – which is interesting as its Victorian / Edwardian heyday coincided with many of the performers and composers referenced in Emma Fisk’s fascinating introductions and links between the twenty pieces of music thoughtfully selected and brilliantly performed tonight. Might tangos on the set-list have been performed on that stage back then? That’s a connection which would appeal to Emma, I think. The ‘Jazz Lads’ are back at Saltburn Golf Club on Sunday 7th May and Sunday 4th June. They are: Ray Dales, one of the finest sax players in the area, Jeremy McMurray, virtuoso keyboard player and leader of the Pocket Orchestra, Paul Smith, drummer exceptional and a grand master of his craft, highly talented guitarist Ian Bosworth, of both Tees Hot Club and Musicians Unlimited fame, and Adrian Beadnell, starting his career with Chris Rea in Saltburn more years ago than he cares to remember, on bass. 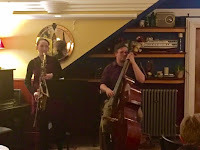 Building on their successful Sunday evening at the Club on the 2nd April, where they were joined by guest guitarist Paul Donnelly, the lads are very much looking forward to playing another programme of exciting Jazz numbers to an appreciative audience on the 7th May and 4th June. Tickets for future evenings can be bought at the door and cost £5.00. The music starts at 8.00. 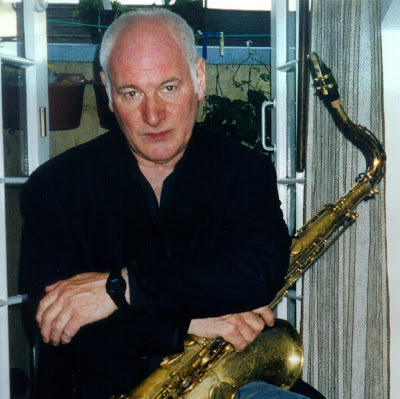 Patrick Brennan recently came across this article in the Tanfield School Newsletter for Summer 2007 when he was looking into the history of the Phoenix Jazzmen. His former art teacher, Terry Harvey, was a member of the group for a while and brought them to his school (St Joseph's in Hebburn) sometime in the early 60's. It was his first exposure to live jazz. 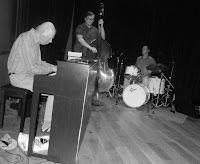 Alan Glen (piano); John Pope (bass); Sid White - depping for Paul Wight - (drums). An Alan Glen gig at The Globe is unlike any other gig. It's as if you're sitting in Alan's front room whilst he plays for you, his friends - on this occasion around about 20.. It brings to mind the legendary Oscar Peterson albums that were subtitled exclusively for my friends and that's how it felt tonight. I'd have felt privileged to have been at those Peterson sessions but, I felt even more privileged tonight! I've got the Oscar sessions on disc but the Alan Glen ones are only in my head. It doesn't matter, I'll relive the highlights without having to crank up the old Victrola. That's how good they were. Regrettably, I don't think I ever heard Stan Robinson either live or on record. Although, such was his reputation as a tenor, soprano, flute and clarinet player, I surely must have done. Robinson, who died on April 9, played in a host of top bands both big and small and it is inconceivable that our paths didn't cross somewhere along the line. Those bands included Maynard Ferguson, Tubby Hayes Big Band, Alan Ganley/Keith Christie Jazzmakers, Bert Courtley and many others most of whom I've seen at one time or another - maybe I was in the right place at the wrong time or vice versa. Easter Sunday at the Black Bull, Blaydon marks Lickety Split’s debut gig at Blaydon Jazz Club. The West Coast to bop outfit never fails to deliver a great show. Led by trombonist Eddie Bellis, Lickety Split play a choice selection of West Coast cool to bop-tinged charts. The affable Bellis leads some of the north east’s finest; Paul Gowland occupies the tenor chair, Alan Marshall, alto. 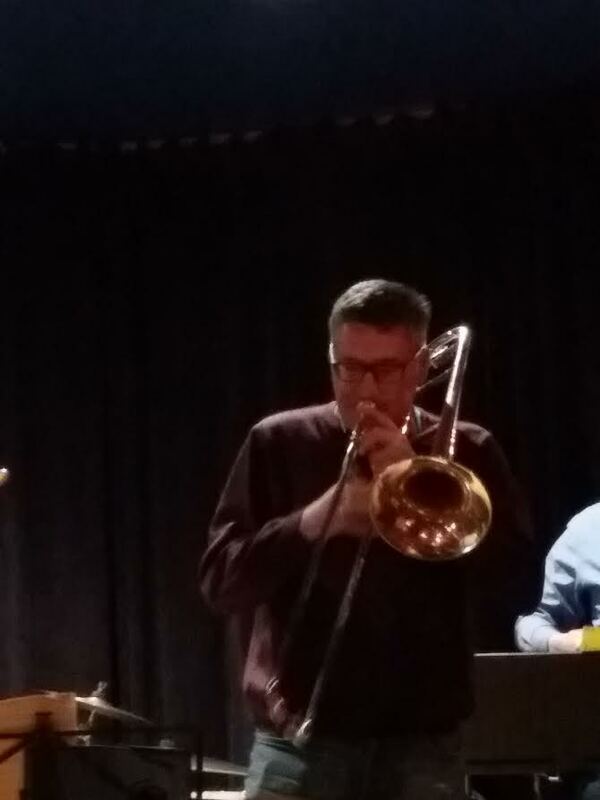 Kevin Eland, based down in the Tees Delta, blows Maynard Ferguson-style trumpet when the fancy takes him, and fellow Teessider, pianist Jeremy McMurray, plays all eighty eight keys every which way, doing so with consummate ease. Dave Weisser thumbed through the pad, these days looking more like an ultra rare British Library ‘by appointment’ reference-only tome, picked out a few tunes, handed out the old school dots to the orchestra and we were under way. Wayne Shorter, Nat Adderley, and A Foggy Day – a first vocal for Jude Murphy accompanied by a fine solo from guitarist Roy Stephenson. The Jazz Co-op’s piano was to Barry Ascroft’s liking, although it was somewhat difficult to hear the man for much of the evening with the frontline horns trading solos for fun. An interesting line-up this evening with regular altos Murphy and Rachel Richman joined by fellow altoist Bernie Ranson, and the big sound of tenor player Johannes Dalhuitjsen, and Nigel Robson boldly blowing ‘bone with a hint of Gary Valente in there somewhere. The multi-talented Jude Murphy played flute on Falling in Love with Love, accompanied once more to good effect by Roy Stephenson. Trumpeter Ray Johnson led the frontline (with workshop maestro Weisser content to take a back seat, literally sitting down a la Preservation Hall veterans! ), soloing with authority. 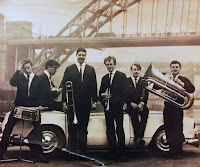 I've followed Alan Glen for many years going back to Newcastle Jazz Festivals, The Cooperage, on Newcastle Quayside, a pub on Sheriff Hill in Gateshead, The Chilli, The Jazz Café and the Globe where, last year, he celebrated his 80th birthday and maybe as many millions of notes over the years! Well, Alan's back at Jazz Coop HQ tomorrow (Thursday) and, as Bud and Oscar are no longer around, this is the place to be. The current line-up has John Pope on bass and Sid White on drums who takeover the roles previously held by, among others, Ray Truscott, Laurence Blackadder, David Carnegie and Paul Wight. If you like standards, originals, a bit of bebop and some of the classiest piano playing this side of New York City then the 22 bus leaves from outside Newcastle's [Grand] Central Station at 2/22/42 minutes past the hour for a one stop journey. 8pm start and admission a mere fiver (during April students get in free!). 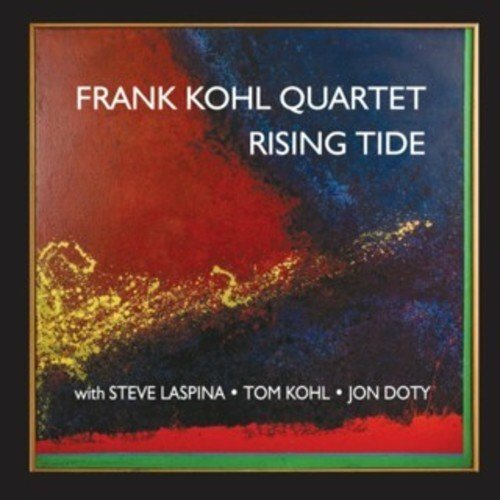 CD Reviews: Frank Kohl Quartet – Rising Tide. Sandro Zerafa – More Light. 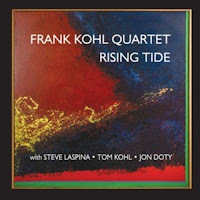 Frank Kohl (guitar), Steve LaSpina (bass), Tommy Kohl (piano), Jon Doty (drums). This is Kohl’s fourth album, the first being in 1981. He's a native of New York, where these sessions come from, but is generally based in Seattle. From the Beatles in the sixties his training and tastes progressed through Clapton, Hendrix and the blues to Wes Montgomery with Jimmy Smith, Pat Martino and Jim Hall, but it was seeing Tony Williams' Lifetime with Larry Young and John McLaughlin that made him realise anything was possible in Jazz. Kohl studied at Berklee during its guitar golden age, while Schofield and Metheny were still students. 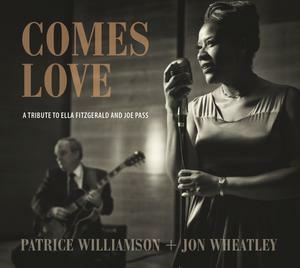 The album features eight tracks, including five originals, a live version of Rodgers and Hart’s My Romance and two by Victor Young, including a solo guitar piece to close the album. Nothing much else to say except the songs are fine and the playing is excellent and the notes claim that smooth exteriors and genuinely emotional interiors make for a difficult balance and listeners will decide whether he pulls this off. I think he probably does but my heckles don't automatically burst through my clothes when I read the 'S' word. Bebop Spoken Here’s southern (ish) correspondent Tony Eales reports healthy attendances at recent gigs in Darlington and Durham. Mark Toomey played to an encouragingly large turn out at Opus 4 Jazz Club’s monthly promotion at the Traveller’s Rest, Cockerton, Darlington. 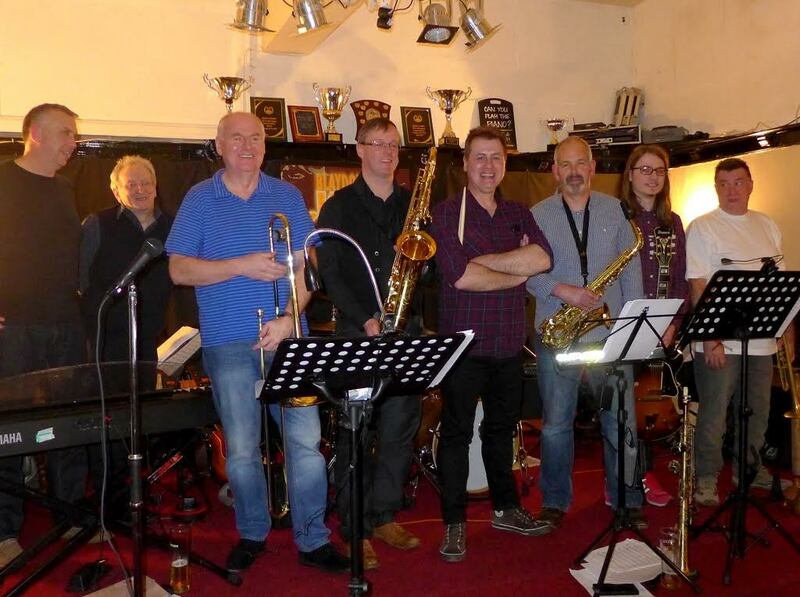 In the run-up to the 2017 Darlington Jazz Festival (April 27-30), the Jazztones’ Sunday evening Darlington Jazz Club gig at the Quakerhouse pub similarly drew a good crowd. Meanwhile, the Empty Shop in Durham goes from strength to strength. 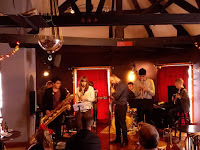 Last week’s appearance by (pictured) Eddie Bellis’ eight piece Lickety Split proved so popular that the venue’s chill out area was requisitioned to accommodate the overflow from the main room. Jazz lives! (in Darlington and Durham). Big Bad Wolf @ Bridge Hotel, Newcastle. April 9. Jazz North East. 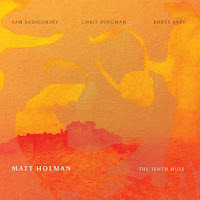 Rob Luft (guitar, vocals), Owen Dawson (trombone, synthesizer, vocals), Michael de Souza (Fender bass 6, vocals), Jay Davis (wonderfully coloured drums). When Steve Hackett auditioned for Genesis, Gabriel (Peter) noted that all the guitarists coming through were about 'flash', while Steve was more about colours. There was ample evidence here of the flash that Luft is more than capable of (as was Hackett), but it was sparse and tastefully spread over the two sets, with more multi colors than Saturday morning TV in the 1970’s. Luft made the announcements, advising that they record themselves improvising, cut it up and play it with virtually no improvising; what he likes to call Reverse Jazz. I'm going to kill three birds with one stone here although, kill is far from my intention. Quite the opposite in fact! A gig close to home. A gig not too far away. Plus, There's also a gig a long way away. Tomasz Stańko (trumpet); Davide Virelles (piano); Reuben Rogers (double bass); Gerald Cleaver (drums). 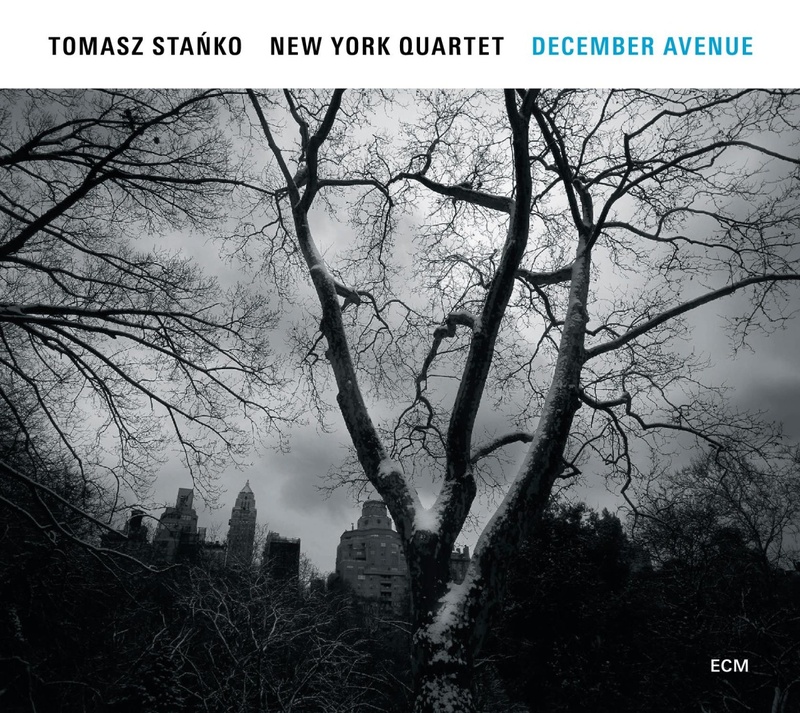 A decade ago Polish trumpeter Tomasz Stańko took an apartment in the city he considers the jazz capital of the world, New York, the stomping ground of all his early musical heroes. Once resident it was not long before he was playing with some of the most gifted and creative players on the scene. The first tangible record of this was the New York Quartet's first, much acclaimed release Wislawa. Stańko's work is recognisable by the grainy tone and smeared notes, the lyrical and soulful themes characteristic of the noirish atmospheres they conjure. He is generous with his compositions in allowing fellow band members time and space to express themselves. December Avenue, the Quartet's second release, was recorded at studios in the south of France, with bass player Reuben Rogers (originally from the Virgin Islands) joining the band and forming a deep understanding with Cuban born pianist David Virelles and Detroit drummer Gerald Cleaver. GIJF Day 3: Tomasz Stańko Quartet - Sage Gateshead, April 2. It is always nice to be thanked in public for something you have done, but even better, perhaps, for something you have not yet done. This does, however, put the pressure on to deliver! By midnight, on the evening of the gig, I was already in an anonymous Travelodge, way, way South of the Tees Delta, en route to Devon's Jurassic coast to spend a week visiting elderly relatives (not in any way dinosaurs though!). I have now returned to my laptop, and with Lance's agreement, deliver my somewhat tardy report. The faithful few were gathered outside the East level 1 entrance to Sage 2 just before 7 pm. By 7.10 there was still no sign of door staff or the doors opening. On questioning an unsuspecting Sage staff member we were told the doors opened at 7.30. “What pre-concert talk?” was the response to our question. Your reporter was hoping to obtain some nuggets of inside information on the main man from the billed question and answer session with jazz journalist and critic Kevin Le Gendre. Eventually it was established that due to flight delays, the session had been cancelled. Oh, well – back to the bar! 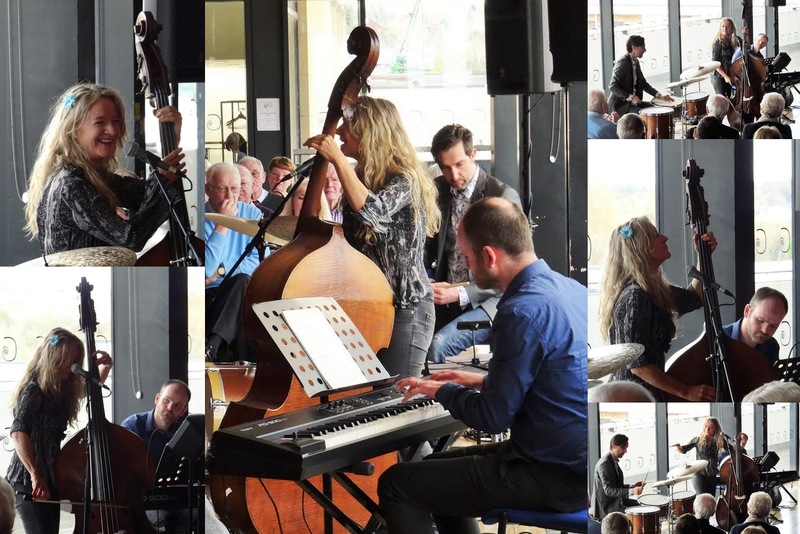 One week on from this year’s Gateshead International Jazz Festival Newcastle’s Jazz Café struck gold with the return visit of Paul Edis and Graeme Wilson. A duo performance makes demands on the listener, and some don’t always listen. 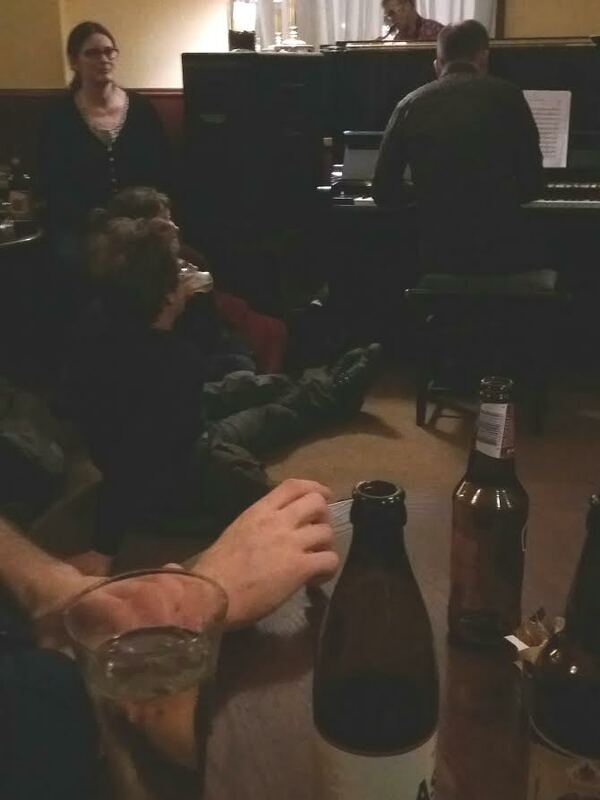 This evening’s performance of the lesser-spotted works of Thelonius Sphere Monk drew a large, attentive crowd. So crowded was the Jazz Café that some sat on the floor – disciples at the feet of the masters. I’ve been given special dispensation by Blogmaster Lance to review this folk music CD on BSH. We encountered this excellent band when we dropped by the Prohibition Bar on the Friday of the GIJF, and, after chatting with the band, were given a review copy. 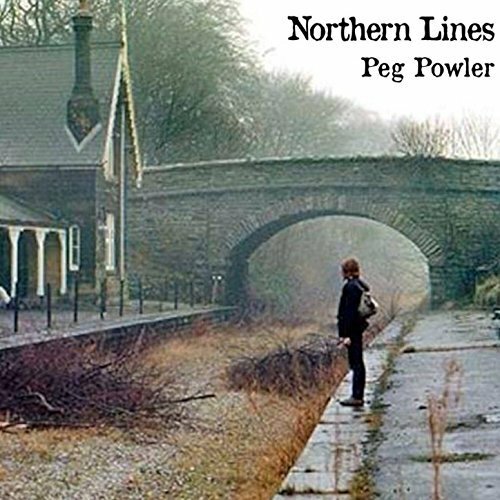 The songs are all originals except for one traditional number (Katie Cruel) and they have the distinction of being immediately memorable and accessible, with strong hooks to draw in the listener, and themes not a million miles away from many a blues number. Mardi Gras time down in the Servant Jazz Quarters. 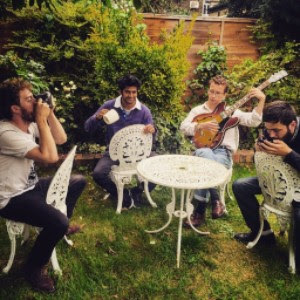 In 2015 Tom Challenger’s nine piece second liners played a gig at the Dalston, London jazz and cocktails venue, recorded it, and released it on the Babel Label as Brass Mask Live. 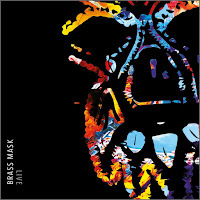 Eight tracks, a little more than fifty minutes’ worth of music, a brass band on steroids. 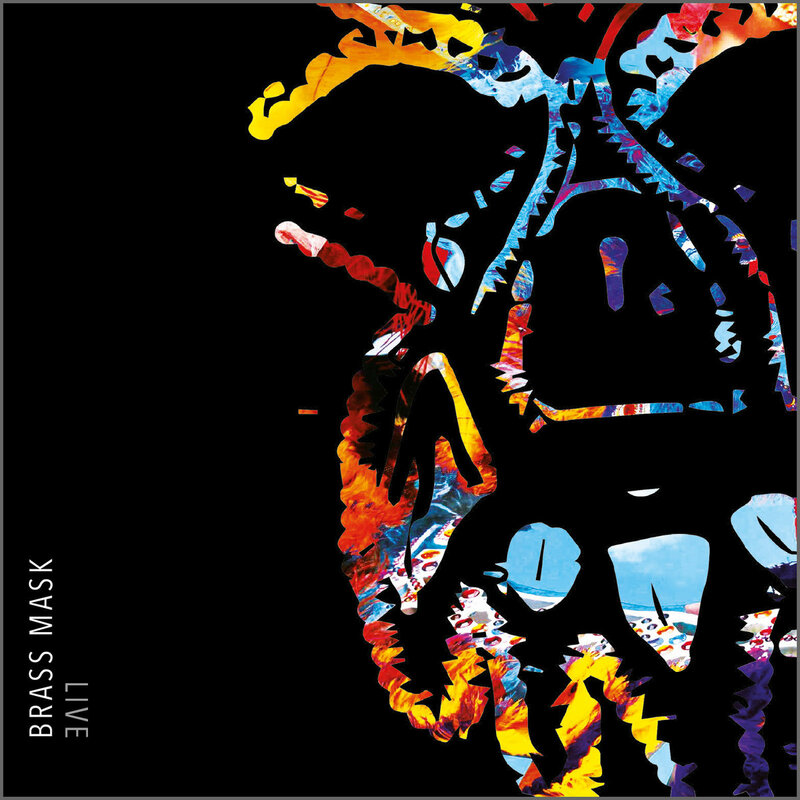 If you’re feeling down, ask your GP to write a prescription for some of what Brass Mask are on, it’ll prove the ideal tonic. 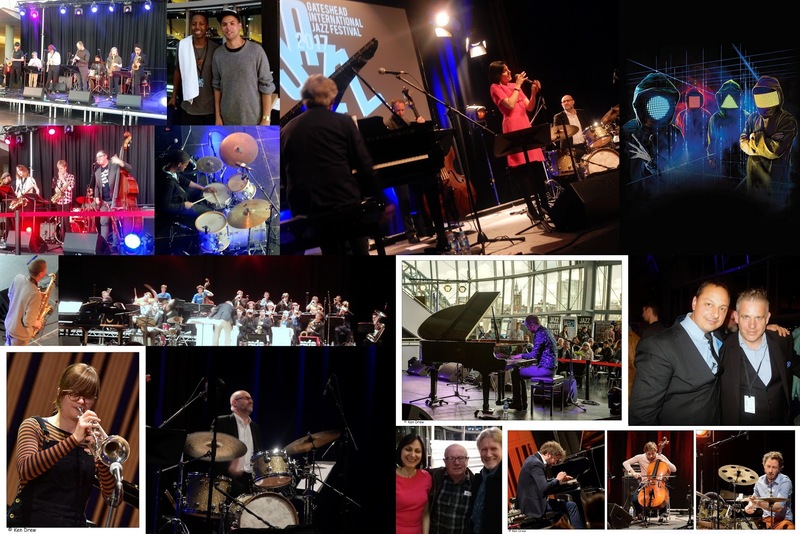 I think we can say that we did the 2017 edition of GIJF rather proud this year! Almost a blanket coverage with possibly more to come! Thank you to Ann, Russell, Steve T, Steve H, Ken Drew, Hugh C and everyone else who chipped in. It was quite a weekend! I come across a lot of guitarists and I've described them as good, great, excellent and whatever new adjectives I can come up with, but this Sunday JNE have got something extra special: the great British Jazz guitarist of his generation, the next Mike Walker, ex NYJO and Royal Academy, Rob Luft is an exceptionally extraordinary player. I first heard him at Scarborough last year when he was playing with Adam Glasser and I became increasingly intrigued by him throughout the set. He never put a note wrong. He's joined by Owen Dawson on trombone, Michael de Souza on bass and Jay Davis on drums and my guess is they'll all be pretty amazing. Tell your guitarist friends about this but warn them they'll most likely, either go home and practice until they drop, or pack it all in and buy a bouzouki.